This disc restores to the catalogue, after an absence of more than 50 years, Serge Koussevitzky's second recording of Peter and the Wolf, with Eleanor Roosevelt as narrator. 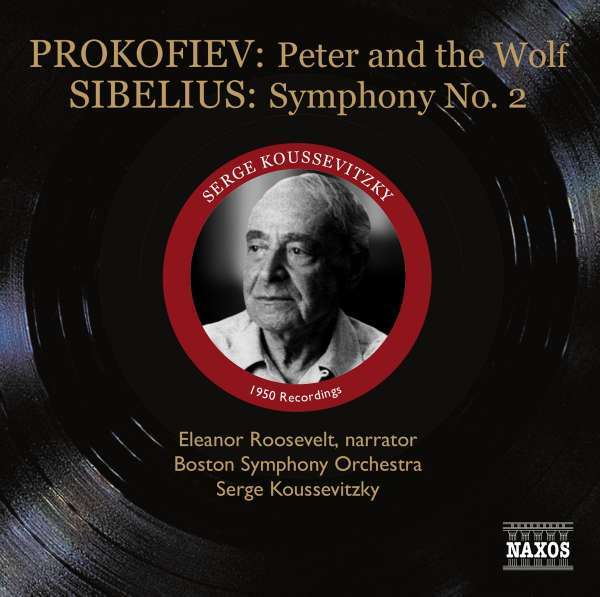 Taped during his last recording sessions on 29th November, 1950, Serge Koussevitzky's performance of Sibelius's Symphony No. 2 is given with an electricity that transcends studio conditions, yet it is not without light, shade and emotional retreat. 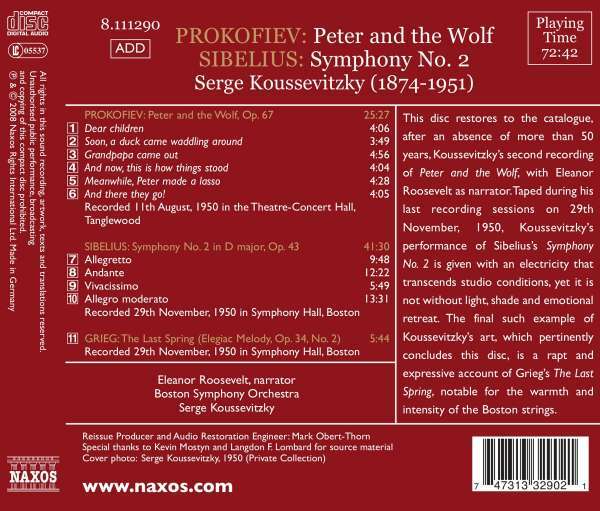 The final such example of Serge Koussevitzky's art, which pertinently concludes this disc, is a rapt and expressive account of Grieg's The Last Spring, notable for the warmth and intensity of the Boston strings. Hörprobe Track 6: Peter and the Wolf, Op. 67: And there they go! Peter and the Wolf, Op. 67: And there they go!